Much of the nation has undoubtedly heard of the limousine fire that took the lives of 5 individuals, injuring the remaining 4 others who were also passengers on this past Sunday. Just yesterday, our Brod Firm Injury Blog wrote on the basics of the incident, providing a brief narrative of the incident. Authorities continue to investigate what may have caused the accident and if there was any fault or negligence on the part of the driver, or limousine company. The incident occurred on the San Mateo Bridge as the party of nine, were making their way to a hotel in Foster City. The driver, Orville Brown of Limo Stop Inc. of San Jose, recalls the passengers tapping on the partition separating him from the passengers. There seems to have been miscommunication however, as Brown mistook what his passengers were saying through the partition window and over loud music that was playing in the vehicle. Urgent knocking finally alerted him to a problem before he pulled over and got out of the car. Several women were able to escape through the partition window and it seems the fire prevented escape through the rear doors. Blaze experts believe that investigators are likely to find the cause of the fire to be a fuel leak, an electrical shortage, or ignition of something flammable in the cabin or trunk. As of right now, road debris does not seem to be a factor and Brown himself suspects the cause was some sort of electric problem. A factor to consider is that limousines purchased an converted into stretch models after their initial sale go through a modification process that extends fuel and electrical lines, giving more opportunity for unintended failures. Another factor is the fact that in 2005, Ford offered a free upgrade to owners of Lincoln Town Cars produced before the yar 2001 after safety advocates said the placement of the gas tank behind the rear axle left it vulnerable to being punctured and exploding in a rear-end crash. In this case however, no accident or crash triggered the fire. To puzzle investigators even further, the U.S. Fire Administration of the U.S. Department of Homeland Security reports the majority of vehicle fires originate in the engine area, running gear, or wheel after, accounting for 61% of vehicle fire with the leading cause being mechanical failure and electrical wiring insulation problems. Only 4% of fires begin in the trunk or cargo area. It will likely take several weeks before investigators can fully determine the cause of the fire, even as speculation grows from the general public. In response to this truly tragic incident, there have been calls for increased limousine regulations and state oversight. 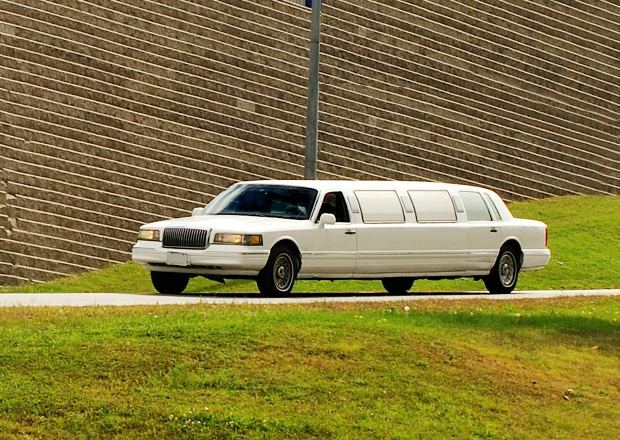 This includes mandatory inspections of limousines that carry fewer than 10 passengers. As of now, safety precaution is voluntary for limos carrying 10 or fewer people but the state requires annual inspections from the California Highway Patrol (CHP) for limos carrying more than 10 passengers. Jerry Hill, a state senator from San Mateo, has stated that he will introduce a bill about increasing safety precaution for limousine vehicles, including requiring limo owners to keep fire extinguishers in their cabins. Others have called for a greater supervision and oversight of limousine vehicles, especially for those carrying fewer than 10 passengers. They argue that supervision is too narrow and the failure to include all limousines, regardless of passenger capacity, is nonsensical. Officials of the California Public Utilities Commission, which regulates more than 6,600 limo and shuttle-bus firms, have stated they believe there is solid oversight. The Limo Stop company was licensed, insured, and had a clean record with the state. An accident like this is incredibly unfortunate. Though the limousine had carried 9 passengers, one more than was allowed, the cause of the fire remains a mystery. As we approach the peak limousine usage season of proms and weddings, we here at the Brod Law Firm encourage actively taking precautions when using a limo service. This includes checking that the company is licensed with the state, and is insured to cover property damage and liability. Additionally, it may be good practice to check out the vehicle before reserving it for an occasion. Lastly, if an unexpected problem does arise, do not hesitate to inform the driver and officials. Safety is most important. As more answers become available, we will all have a better understanding of if there is fault or negligence in this incident. Passengers are in every right to expect care, and an avoidance of harm or injury. If you have been involved in an incident and believe a service is at fault or failed to adequately avoid harm, please contact our Bay Area based accident/injury attorney to assist you.